Since my long-standing engagement with the Puerto Rican peace movement, it has been hard to celebrate the Fourth of July. Never too keen on “bombs bursting in air,” I nonetheless think that there is much to celebrate in the 18th-century movement of the thirteen colonies against British imperial policy, but so much of that turned sour when the U.S. itself set on a path of empire building. For half a century, Puerto Ricans were pressed to commemorate July 25, the date in 1898 when U.S. Marines landed and took over the country, as if it were a celebratory occasion; even those Puerto Ricans supporting the status quo commonwealth arrangement or statehood moved to change the way their July holiday was framed given the foul memories of the U.S. military invasion. As Waging Nonviolence columnist George Lakey poignantly noted, there is much to learn from various Puerto Rican campaigns and struggles in linking short-term and long-term goals, reformist victories and revolutionary aspirations. As the United Nations Decolonization Committee concluded hearings late last month on one of the world’s last remaining “non-self-governing territories,” it is fitting to further reflect on the contemporary freedom struggles which Puerto Ricans are currently waging. 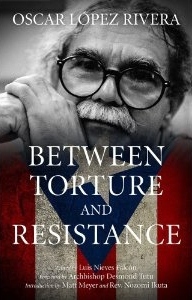 A truly open process for an assertion of Puerto Rican self-determination, unlike the rigged referendums of years past, would include: immediate release of Lopez Rivera (as well as the two recently-arrested elders Avelino Gonzalez Claudio and Norberto Gonzalez Claudio, former members of the Macheteros clandestine organization found guilty of a robbery which took place in 1983); an end to the criminalization and harassment of pro-independence activists (including a process to bring justice to those who have assassinated independentistas, often FBI or other U.S. law enforcement officers); full reparations to the people of Vieques; full withdrawal of all U.S. military, judicial, FBI, police and other repressive apparatuses; an end to the application of the death penalty in U.S.-controlled Puerto Rican courts; and a commitment to negotiate in good faith with the people of Puerto Rico a solution to the colonial dilemma. The case of the Puerto Rican political prisoners is particularly noteworthy for U.S. peace activists. Though every major liberation movement has their share of political prisoners — from Martin Luther King to Nelson Mandela and beyond — the capture in 1980 and 1981 of thirty Puerto Rican independence activists was one of the most dramatically headlined moments of modern history. Assailed as terrorists seeking the immediate overthrow of the U.S. government, the women and men taken into custody (without even giving notice to Puerto Rican authorities that the FBI would be conducting raids) were projected as hardened criminals and characterized as tremendous threats to U.S. life, two decades before 9/11. The actual histories of the individuals involved — most of whom were well-respected teachers, community organizers, church activists and such — were as minimized as the fact that little evidence pointed to any actual acts of violence. The story was this: Groupings of Puerto Ricans dared to go underground, living life clandestinely and outside of the watchful eye of the imperial power, possibly with the goal to take up arms against empire. The fact that Oscar Lopez Rivera was a decorated Vietnam veteran, with many years of peaceful leadership building,community-based institutions of empowerment in his Chicago neighborhood, seemed completely irrelevant. The fact that, though hardly pacifist, the armed groupings took great care to harm no one in their actions against symbols of U.S. authority was also overlooked. While not justifying property destruction or robberies, it is clear that the punishments applied to these actions are wildly disproportionate to sentences given in similar cases where no political motivations were involved. In the ensuing years, the trials revealed how thin the cases of “terrorist activity” really were. More importantly, the door-to-door grassroots mobilizing on behalf of the prisoners bought together broad sectors of the Puerto Rican population (from all three major political parties including Republican-associated pro-statehooders), and a wide international grouping (including a dozen Nobel laureates), in a series of inspiring and tactically diverse actions developed under the strategic auspices of the Puerto Rican Campaign for Human Rights — all in the years before the Vieques campaigns from 1999-2003 and the contemporary student and worker strikes. It is also noteworthy that many of the Puerto Rican political prisoners, like the outside movements which supported them, accepted the power and possibility of creative nonviolent direct action in crafting escalating efforts to pressure Washington, D.C.
Two broad lessons flow from this history. First, it is essential to understand that a dichotomized history of the Puerto Rican movement is both inaccurate and divisive. (For example, the notion of the “good, nonviolent” Vieques protesters of 1999 vs. the “ineffective, violent” protesters of the earlier generation, or the “good, strategic” orientation of some reformist independentistas vs. the “bad, unstrategic” efforts of hard-line radicals). Though isolated and ostracized when they were first captured, including by many who may have understandably disagreed with their tactical choices or timing, there can be little doubt that the political prisoners and their supporters paved the way for the modern mass movements of contemporary Puerto Rican life. The 2009 Puerto Rican General Strike, which mobilized over 150,000 workers and students against cutbacks and privatization, and the 150,000 people who participated in the Peace for Veiques march in February 2000, were both preceded and influenced by the 100,000-strong “Gran Marcha” for the freedom of the prisoners just a few years earlier, and the educational efforts which targeted every corner of the island. In a near-perfect display of the possibilities of “inside-outside” campaign work, family members and legal representatives of the prisoners held a high-level meeting at the White House with the Clinton administration’s pardon attorney at the same time as several dozen protesters (including this author) were arrested outside of the White House, quietly holding signs with the names and faces of those imprisoned. When Clinton decided to offer clemency to some (but not all) of the Puerto Ricans in 1999, he cited amongst his reasons for making that moral decision the calls to justice received from Coretta Scott King and Archbishop Desmond Tutu. Second, in the case of Puerto Rico, like with many anti-colonial or anti-neo-colonial movements, much progressive sentiment stems directly from the deep-seated frustrations inherent in struggles against perceived excesses of the “mother country.” Therefore the litmus test for successful campaigns has never been how reformist or revolutionary they were, how nonviolent or militant they were or even how overtly independence-oriented they were. key to effective organizing that will reach massive numbers of Puerto Ricans has always been based on how deeply a given campaign has been able to tap into the broad social and cultural consciousness of Puerto Rican pride. I remember well an international tribunal, held in Vieques shortly after Clinton’s clemency and the release of eleven of the prisoners, plotting strategies for future work. Careful groundwork was laid regarding how and when to link issues, at what points the Vieques work should be focused upon in particular ways, and what manifestations would best excite average Puerto Ricans to take up the anti-militarist call. Every historical period goes through phases … and we have to grow and develop in response to the times. The Puerto Rican independence movement was never a violent movement. It had its periods in history where its resistance was expressed and manifested in a more aggressive manner, but the movement itself is not a violent movement. When the whole issue of people occupying the bombing ranges of Vieques came up, and the whole issue of nonviolence was raised — of civil disobedience, which is another aspect of nonviolence — I thought that we should run with it. This is something that the people respond to; our people will never respond totally to violence. We are not a violent people, and the U.S. should be really thankful for that, as there are over three million Puerto Ricans living within the U.S.! I think that the struggle of the 1990s had been one of civil disobedience. On the wall of my study hangs the historic quote from African abolitionist Frederick Douglass: “Power concedes nothing without a demand. The limits of tyrants are prescribed by the endurance of those whom they oppress.” Next to it hangs a portrait painted in prison by Oscar Lopez Rivera, of another famed independence activist whom he admires — Mohandas K. Gandhi. Douglass also penned a lesser-known quote, a scathing indictment of U.S. policies in the 1800s. He asked: “What, to the slave, is your Fourth of July?” This July Fourth, peace-loving people would be well-served by celebrating our own hard-fought independence through acts of solidarity with Oscar Lopez Rivera, and with all our neighbors on the still-struggling island under direct U.S. colonial control.